On July 28, Congressman Peter DeFazio re-introduced a stand-alone version of the Chetco River Protection Act: H.R. 6546. The bill is based on recommendations made by the U. S. Forest Service in the Chetco Wild and Scenic River Management Plan. 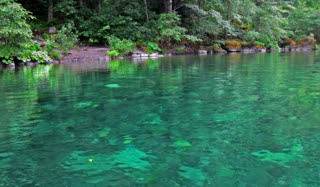 It would provide protection this world-class salmon and steelhead river from the renewed threat of mining. This bill complements the Oregon Wildlands Act legislation already introduced by Senators Wyden and Merkley that includes a provision to safeguard the Chetco from mining. Protecting the Chetco has also been included in the Southwest Oregon Watershed and Salmon Protection Act. 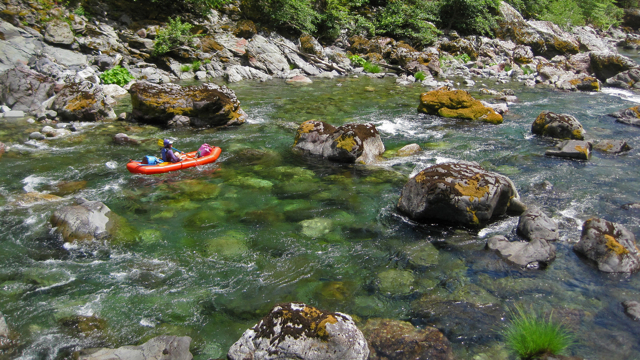 These bills are critically important because special protections temporarily accorded to the National Wild and Scenic Chetco River recently expired. 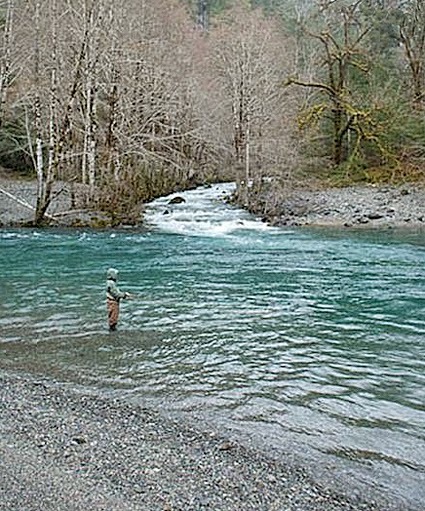 Although the Chetco is renowned and beloved for its crystal-clear water, world-class fisheries and recreation that is focused on both clean water and fish, back in 2008, these qualities were threatened when a Washington real estate developer proposed to mine 20 miles of the Wild and Scenic Chetco riverbed —from claims he owned within the Kalmiopsis Wilderness all the way down to the Forest Service boundary, including at popular swimming areas. He'd planned to helicopter large dredges into the Chetco's remote canyon and then similarly drop in miners staying at Emily Camp, his private inholding, deep in the Kalmiopsis Wilderness. However, owing to political gridlock, Congress has not been able to pass a Chetco protection bill in the past 5 years (though Congressman DeFazio and our Senators have introduced it several times). Ordinarily, administrative mineral withdrawals such as this for the Chetco are routinely extended on request by the land managing agency to safeguard local values and give Congress time to act. The Forest Service began the process to extend the withdrawal two years ago, but the Department of the Interior, which is in charge of mining claims and withdrawals, has not done what is needed to extend the withdrawal. Our Senators and Congressman DeFazio pressed for action, but Interior Secretary Zinke decided to let the withdrawal lapse putting the National Wild and Scenic Chetco back at risk. 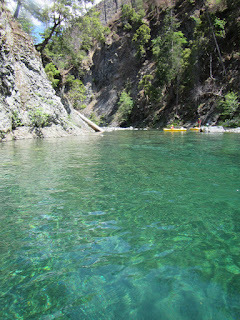 Thus far, the Chetco withdrawal has very successfully protected the river from large-scale dredge mining. Due to failure to properly pay annual fees, the project proponent forfeited his claims so we went from having a major threat of instream mining to having zero mining claims on this Wild and Scenic River! This status is now in danger. 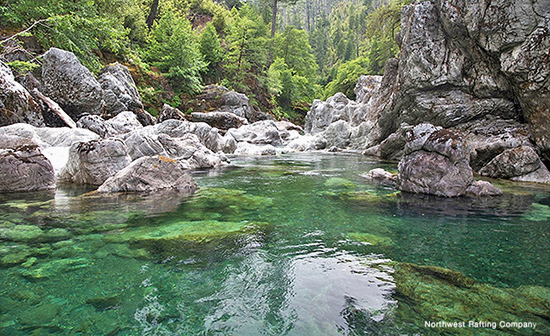 Fortunately, in the past five years, the state of Oregon has also stepped up to protect the Chetco. In 2015, Oregon designated the Chetco a State Scenic Waterway, which precludes suction dredging in the designated reach—from the Steel Bridge down to Loeb State Park. And in 2017, Oregon's legislature passed a law that prohibits suction dredge mining in Essential Fish Habitat, which covers the main stem up to the wilderness boundary and some tributaries. While these beneficial state designations will certainly help protect against suction dredge mining, it's uncertain if they will protect against other forms of mining. And so citizens must remain vigilant, especially since the river is now recovering from the Chetco Bar Fire and post fire logging. 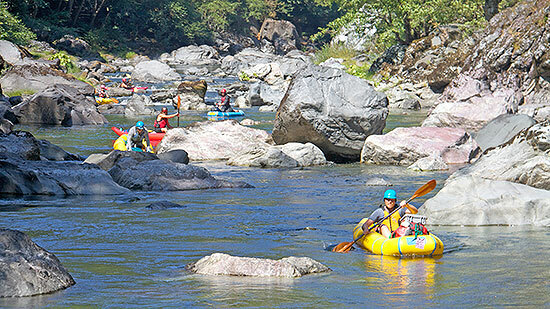 The only way to make sure that the Wild and Scenic Chetco's river corridor is truly safe from the threat of all types of mining is for Secretary Zinke to make an "emergency withdrawal" or for Congress to act on the Oregon Wildlands Act or the Southwest Oregon Watershed and Salmon Protection Act. 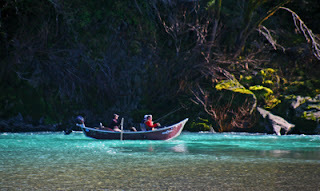 Fishing the Chetco. Mickey Weir photo. On August 1, 2011, a notice published in the Federal Register segregated 17 miles (5,610 acres) of the Wild and Scenic Chetco River from the 1872 Mining Law. Less than four years later, the temporary Secretarial mineral withdrawal has saved a river, as well as saving the American taxpayer money. However, the job of protecting the cherished Chetco from mining is far from done. While still dependent on the passage of legislation to become permanent, the Secretary of Interior's action on behalf of the Chetco River nonetheless demonstrates why mineral withdrawals are so important in protecting the public's interest in high value conservation lands (and rivers). Happy Birthday Kalmiopsis Wilderness | Home of the Wild Chetco River! 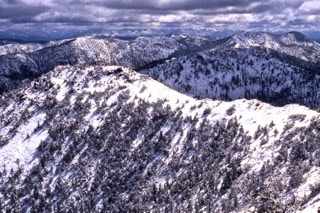 Today marks the 50th Anniversary of the Kalmiopsis Wilderness! Congress passed the landmark Wilderness Act on September 3, 1964 to protect areas of America’s unique natural heritage for future generations. 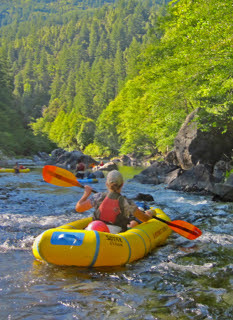 The stark and rugged upper watershed of the Chetco River in southwest Oregon was one of the original Wilderness Areas designated in the Act. Now that the Chinook have begun to return to the Chetco, it’s a good time to to see where we’re at with the Chetco River Protection Act. The legislation will permanently protect our Wild and Scenic River from the threat of instream mining. In July, Secretary of Interior Jewell signed a mineral withdrawal, protecting the Chetco from mining for 5 years. This will give Congress time to pass the legislation. 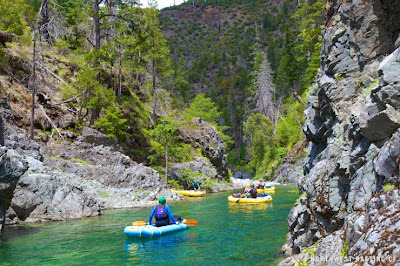 Wild and Scenic Chetco River | Protected from mining for 5 years! 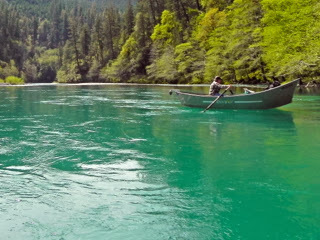 On July 26, the Interior Department announced its approval of a mineral withdrawal for 17 miles of the National Wild and Scenic Chetco River in the Federal Register, Authorized by Public Land Order #7819, the mineral withdrawal protects 5,610 acres of National Forest land along the Wild and Scenic Chetco River from mining for five years. 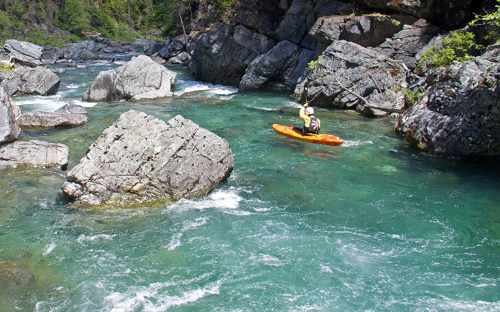 The Chetco is one of South Coast's extraordinary "Wild Rivers." 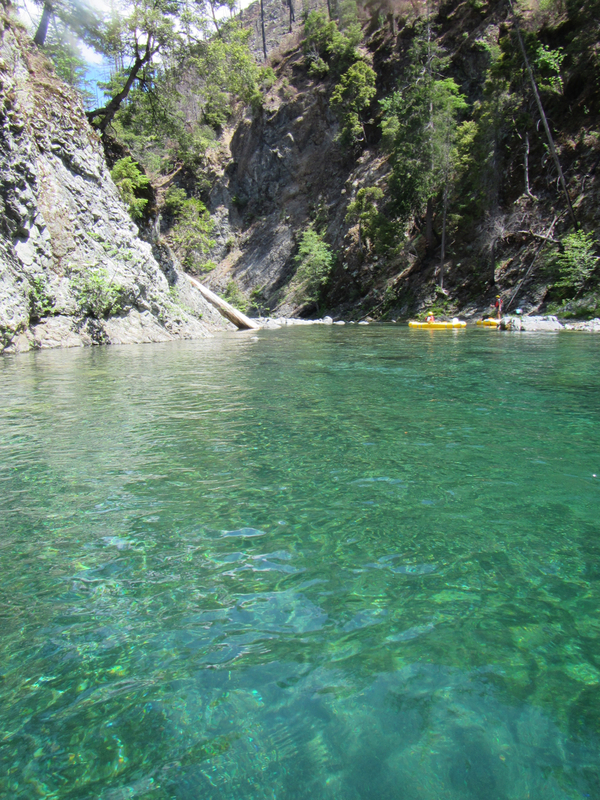 It was protected as a National Wild and Scenic River in 1988 in recognition of it's outstanding fishery, crystal clear waters and high quality recreation values. The Oregon Omnibus Wild and Scenic Act owed it's success to the bi-partisan leadership of former Senator Mark Hatfield and Congressman Peter DeFazio. Since then, Oregon's congressional delegation has always stood firm and supported the protection of our extraordinary Wild and Scenic Rivers. 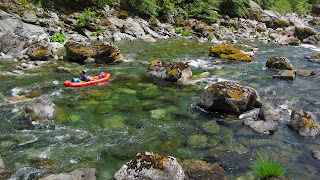 Chetco River Protection Act reintroduced in House! In mid March, Congressman DeFazio reintroduced the Chetco River Protection Act, H.R. 1215, into the 113th Congress. The bill was co-sponsored by Oregon Representatives Earl Blumenauer and Susanne Bonamici. The language of H.R. 1215 matches up with the bill introduced in the Senate as part of the Oregon Treasures Act S.B. 363. It is exactly the same as what has been proposed in years past. 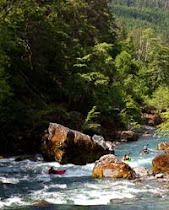 The Chetco River Protection Act and the Chetco portion of the Oregon Treasures Act would withdraw the "wild" and "scenic" reaches of the Chetco River (on Forest Service lands from the Kalmiopsis Wilderness boundary down to the Forest Service boundary) from new mineral claims. 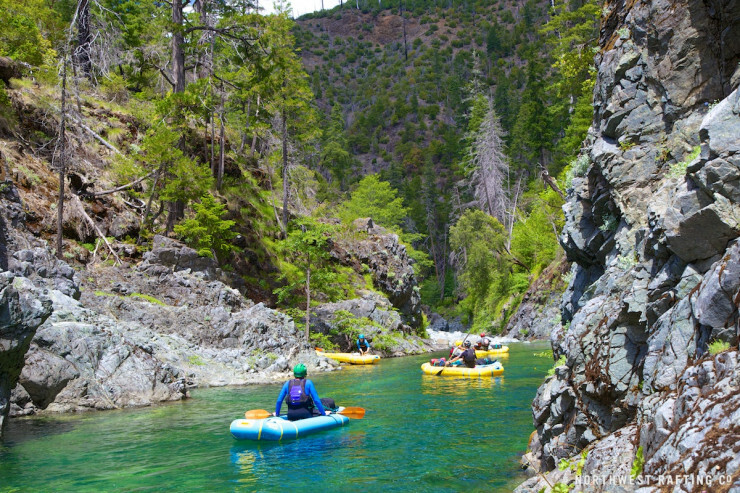 The National Wild and Scenic Chetco River made USA Today last week in an article about the top new adventure travel trips of 2013. 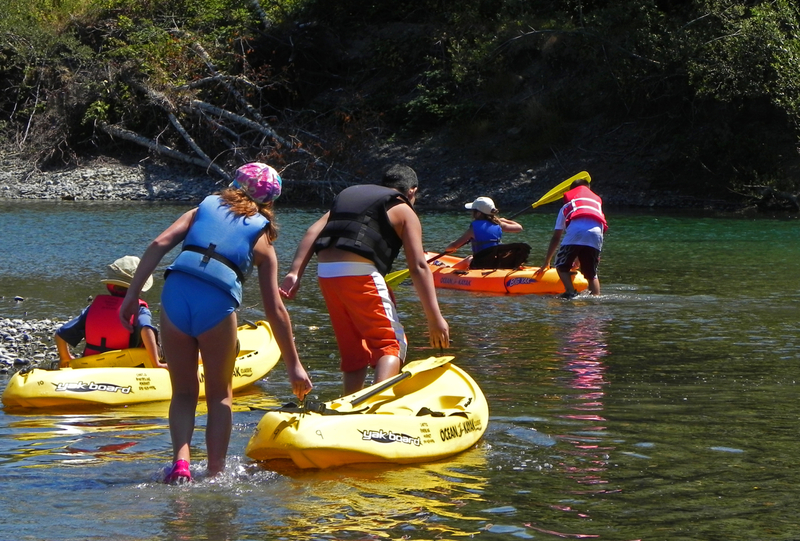 “Think crystal-clear pools for swimming, scenic canyon hikes, and the absolute tranquility of a remote and virtually unvisited river,” reporter Josh Roberts wrote about the Chetco when describing a new adventure trip that will be offered this year by Northwest Rafting Company. 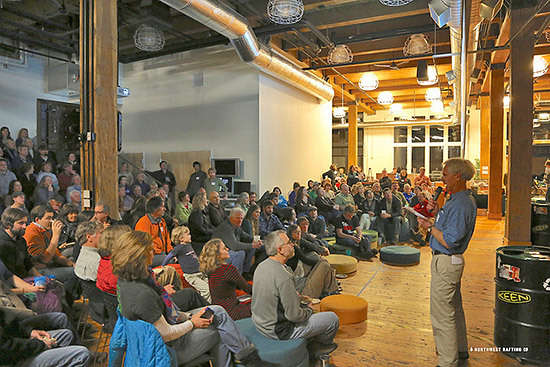 Beautiful photographs of the National Wild and Scenic Chetco River, by Tim Palmer and Ann Vileisis, President of Kalmiopsis Audubon, were one of the keynote features at a wildly successful 3rd Annual Wild River Night in Portland on January 9th. 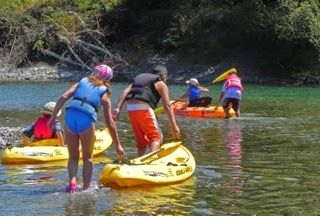 Begun three years ago by Northwest Rafting Company, the event (to raise funds for river conservation) was bigger and better than ever.